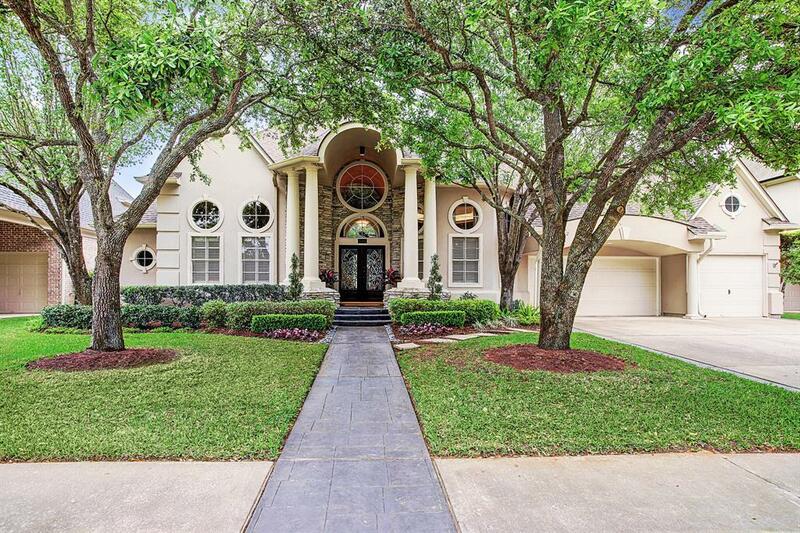 Gorgeous 1.5 story home on Golf Course with pool in Gated Community!! This home has been completely updated. Wood floors through out except secondary bedrooms, granite counters, stainless appliances, subzero refrigerator, plantation shutters and more. 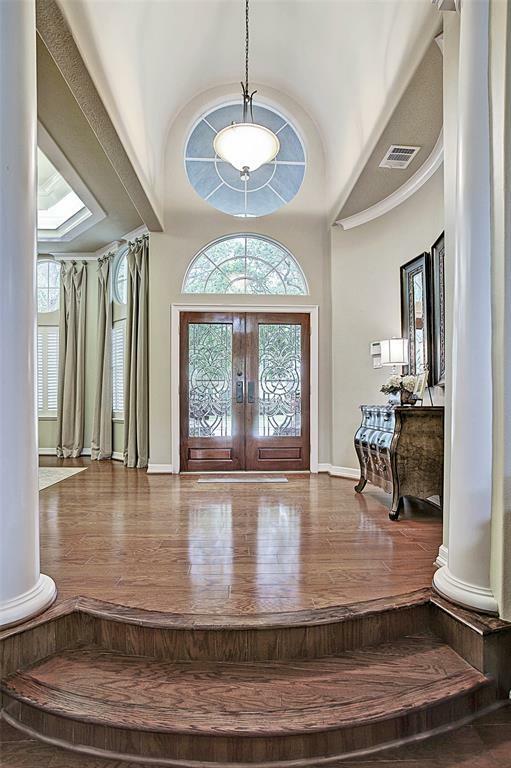 Beautifully designed floor plan with high ceilings, barrel arch, and wall of windows. Stunning formal dining with butler's pantry featuring wine cooler, formal living offers cast stone fireplace and gorgeous views of pool, gourmet kitchen featuring large breakfast bar with island and painted cabinets with travertine backsplash. Spacious master suite with sitting area. Master bath has remodeled with Quartzite counters, oversized shower, free standing tub, sconce lighting, and custom closet. Huge secondary bedrooms with ensuite baths and walk in closets. Incredible back yard with flagstone patio, sparkling pool and waterfall with views of golf course. 3 car garage with storage space, water softener, and central vacuum. No Flooding!